The Resident Evil 2 remake releases this week, 20 years after the classic horror title originally hit our shelves. While the game was originally relatively self-contained, Capcom is reportedly considering the possibility of providing post-launch DLC for the game. 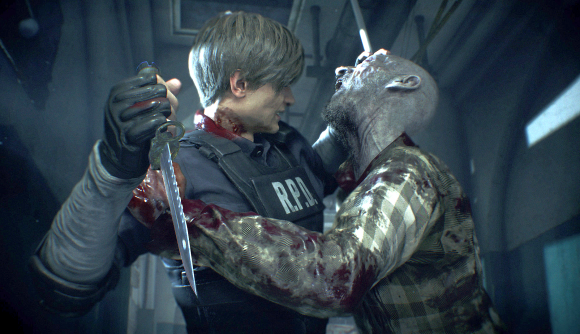 During a recent press event in Dubai, Resident Evil 2’s game director, Kazunori Kadoi, and its producer, Yoshiaki Hirabayashi told SaudiGamer (via wccftech) that they had “discussed the possibility of providing additional content” after the release of the game. The pair didn’t offer a timeline for any Resi 2 DLC, but did say that they won’t be focusing on another project until the game ships. Kadoi and Hirabayashi’s comments are, sadly, far from official confirmation of the existence, let alone development, of any DLC, and the pair advised fans to keep an eye on Capcom’s official social channels for any more news. I’d say that last comment bodes relatively well, but if I’m honest that’s mostly just wishful thinking. I would say, however, that Resident Evil 7, which released in early 2017, did eventually see plenty of DLC packages across various platforms. If you’re already holding out for DLC, I’ll imagine you’re not relishing the wait for the game. Thankfully, however, you’ve only got three days left to wait, as the Resident Evil 2 release date is January 25. The game’s one-shot demo, which was available last week, saw a pretty dismal success rate. Of the 2.4 million players who downloaded it (and signed up to Capcom’s tracking metrics), only 26% were able to complete it. Whether that speaks to a restrictive time limit or a game that was just too scary for its own good isn’t clear, but I suppose we’ll all find out in just a few day’s time.